Disclosure: This post was sponsored by NBTY through their partnership with Circle of Moms by POPSUGAR. While I was compensated by Circle of Moms by POPSUGAR to write a post about NatureSmart Vitamins, all opinions are my own. It's not often that I'm away from my kids. So when I do have a trip that's Mommy-only, things at home are a little weird. Not that my husband can't handle Mr. Mom duty for a few days, but it's just not the same as the real deal (ahem, me) being there. This weekend is one such time. I'm headed off for a few days to hang with my blogging buddies in Atlanta, kid-free. And, since I know they'll be missing me at home (okay, maybe I'm secretly hoping they'll be missing me) I decided to craft up a little surprise for the kids while I'm gone. Like most little boys, my son is a superhero fanatic. He Hulk-smashes and Thor-hammer whacks several things a day. Same goes for my 6 year old except instead of violently ruining furniture, she wears 12 princess dresses a day and can kick a soccer ball in plastic princess heals like nobody's business. From bubble bath, to clothing, to sheets, to vitamins, it's all princesses and superheros around here, all the time. 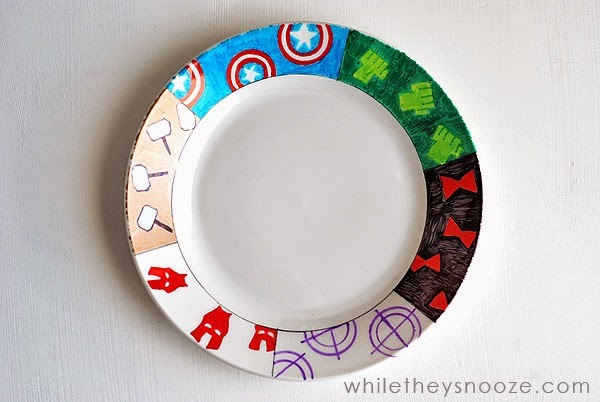 So in keeping with their current loves, I decided to DIY some Sharpie plates for them to use at breakfast (since I usually eat breakfast with them) while I'm away. Here's what ya do. 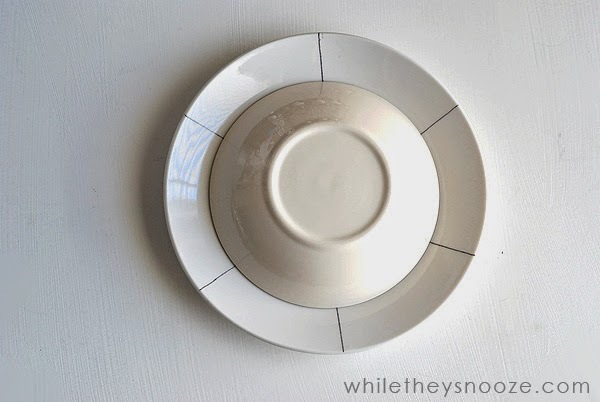 Divide the rim of your plate into even sections. I eyeballed this and used a piece of tape to keep my lines straight. Also, I used a dry-erase marker to make these lines just in case I messed up. But if you're brave, dive in with a Sharpie. 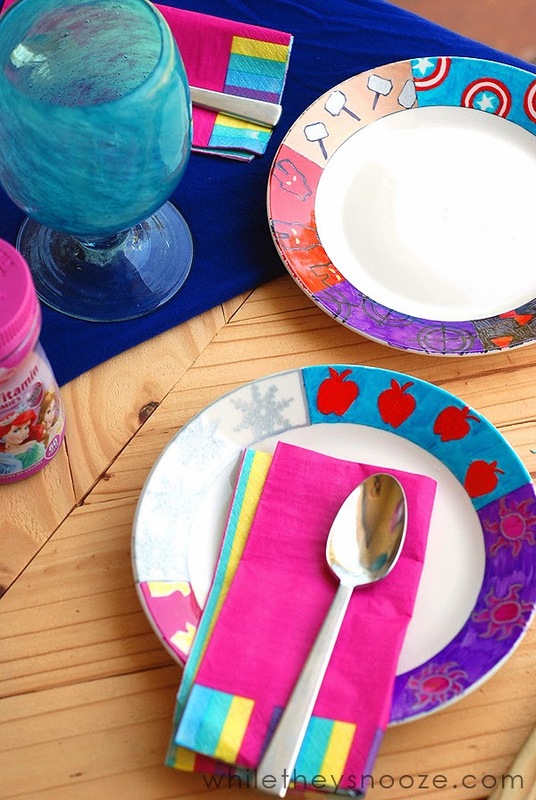 Make as many sections as you feel like decorating differently. 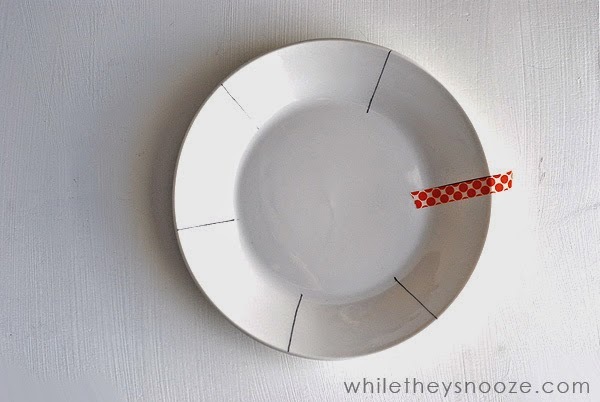 Draw a circle to divide the rim from the rest of the plate. 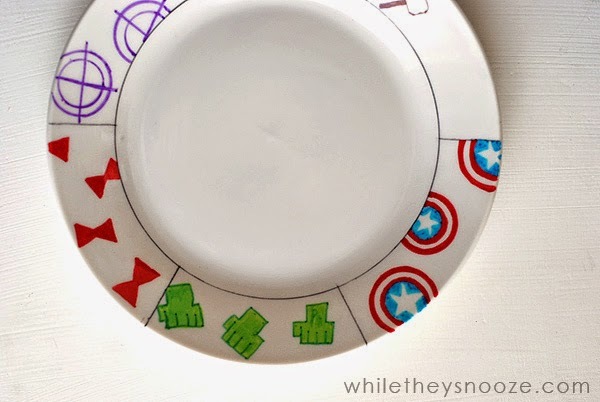 I figured it was best to keep the part of the plate that would have food on it free of Sharpie. I used a smaller bowl and traced. Fill in the backgrounds. For the neatest look, try as much as possible to keep the marker lines going the same direction. 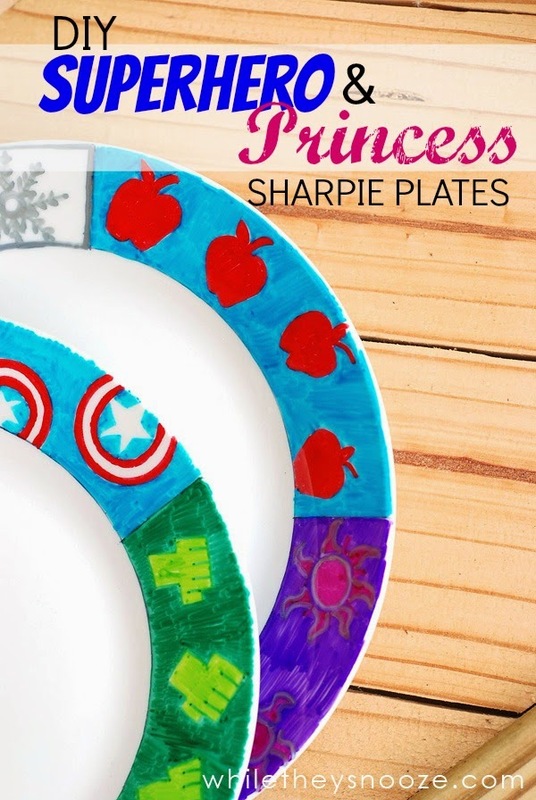 Bake them in the oven to really set the Sharpie. 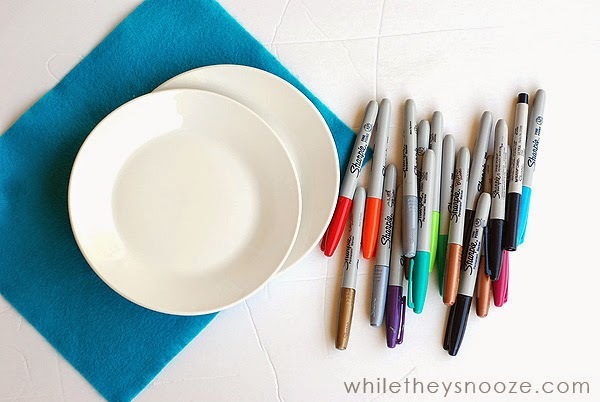 Most DIY Sharpie fellow bloggers recommend letting the Sharpie set for 24 hours. Then, place the plates in a cold oven and turn it on to 450 degrees (hot!). Let them bake at 450 for about 30 minutes then turn the oven off. 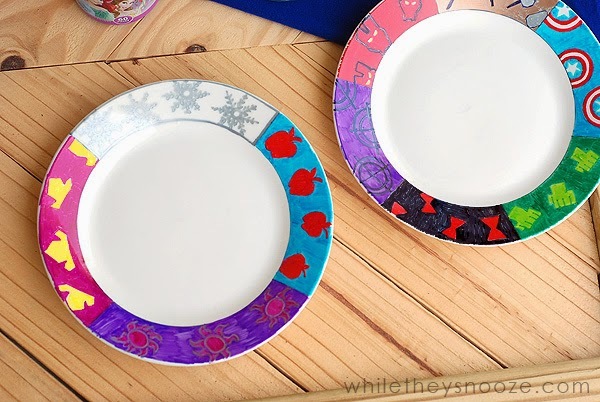 Leave the plates in the oven, and let the plates and oven cool completely before taking them out. I still wouldn't trust the dishwasher but that should keep things pretty permanent. That's it! They're done. Minus a few questionable Sleeping Beauty crowns and Iron Men that look a little bit like scary rabbits, they look pretty good! 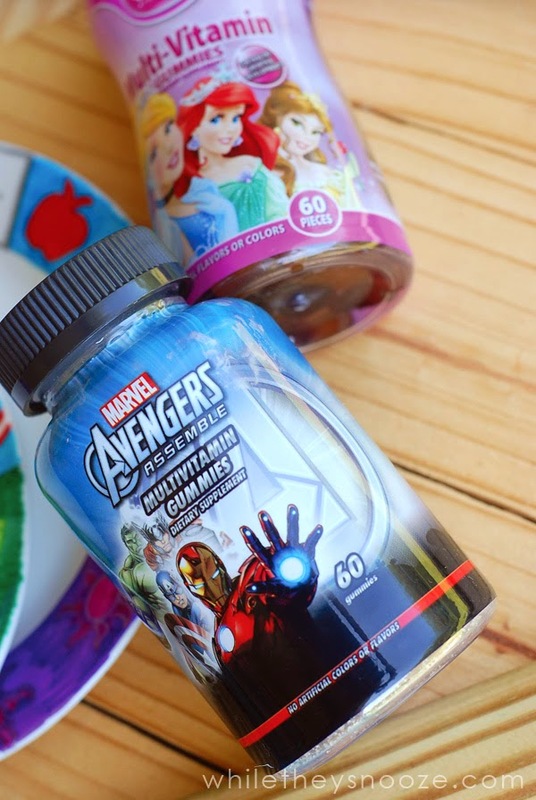 So on top of the new surprise plates, they also got new surprise NatureSmart Gummy Vitamins in Disney Shapes and Gummy Vitamins in Marvel Shapes. Every time we grocery shop they either ask for new toothbrushes or these vitamins so I know they will be excited to have not 1 but 3 varieties to choose from in the coming mornings. Just a small simple thing that lets them know I'm thinking about them even if I'm away. 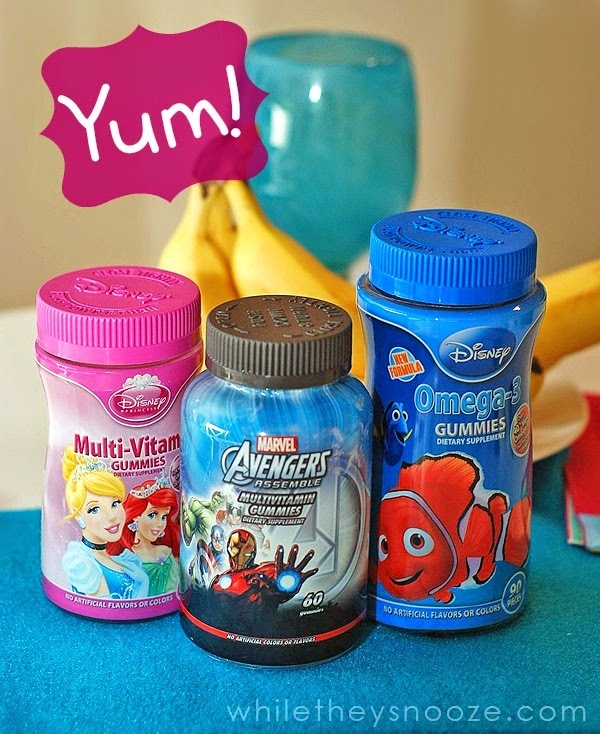 Their favorites at the moment are the Gummy Vitamins in Marvel shapes. They remind me of old fashioned gum drops. The kids love picking two each morning to have with breakfast and trying to figure out what each shape is. They taste great and add a little excitement for them to quick school-morning breakfasts. And I'm not going to lie... the hubs and I enjoy some sweet Gummy Vitamins in Disney Shapes now and again too. :) It's a nice "treat" I add to our packed work lunches every once in a while. 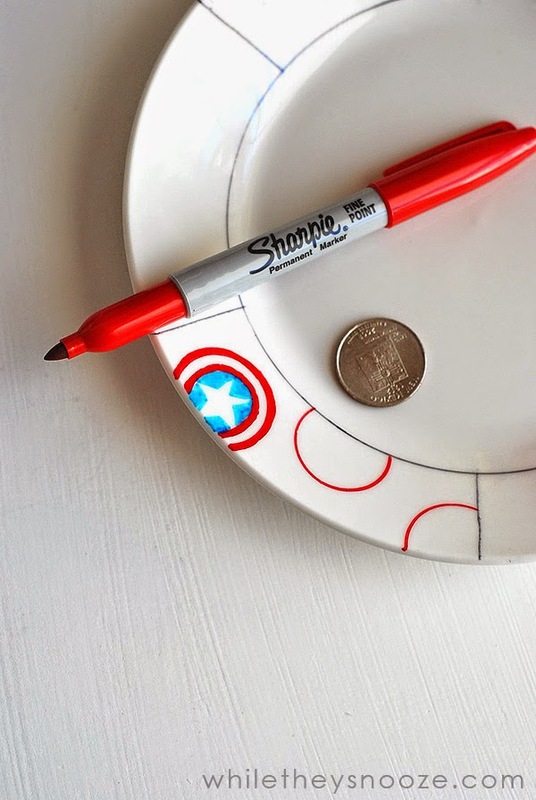 So I'm going to try and bribe the hubs to take some pictures of their first surprise breakfast complete with new mom-created Sharpie plates and vitamins while I'm away. I'm sure they'll be excited in a half asleep/bedhead kind of way! ©MARVEL Manufactured by Rexall Sundown, Inc.